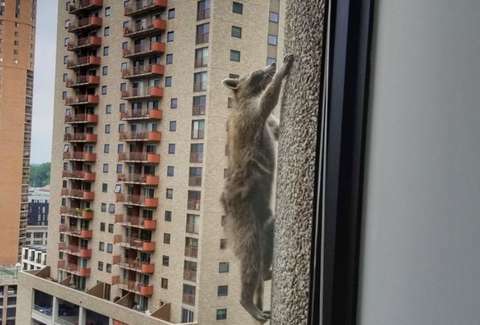 A skyscraper-climbing raccoon in Saint Paul stole the hearts of the country last week. In honor of the trash panda's ascent up the city's UBS Tower, the Saint Paul Saints, a minor league baseball team, will suit up as the Saint Paul Raccoons on June 26. The raccoon was dubbed the #MPRRaccoon. It eventually made its way to the roof of the building where it was captured and later released at an undisclosed location by wildlife management services. But that all came after the little critter became a social media darling for a day. The team shared the world's first look at the new jersey over the weekend. The team will give the raccoon a symbolic key to the stadium, CHS Field, at the game. Symbolic because the raccoon won't be present. "Should the raccoon ever return to the Saint Paul area," the team wrote on its website, "she will have free run of the Saints ballpark, to rummage through the trash, climb up the St. Paul Eye Clinic Batter’s Eye, or just hang out and relax." 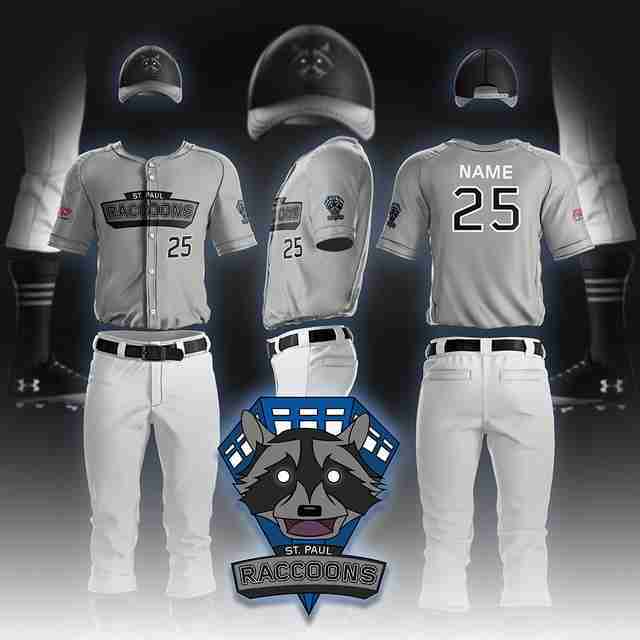 The first 1,500 fans at the game will be given a raccoon mask, and the team's custom raccoon jerseys will be auctioned off after the game. Proceeds from the auction will be donated to Minnesota Wildlife Services. Additionally, the team will have other swag -- hopefully, that includes those outstanding hats -- available for sale at the game. A team representative tells Thrillist the gear will be for available online, as well. The date the gear will become available has not yet been confirmed. Until that game arrives, you can entertain yourself with the raccoon's new theme song, courtesy of Minnesota's Mark Mallman.